I love seeing indy designers offer such a wide range of sizes, and Interrobangirl does that in everything she makes! 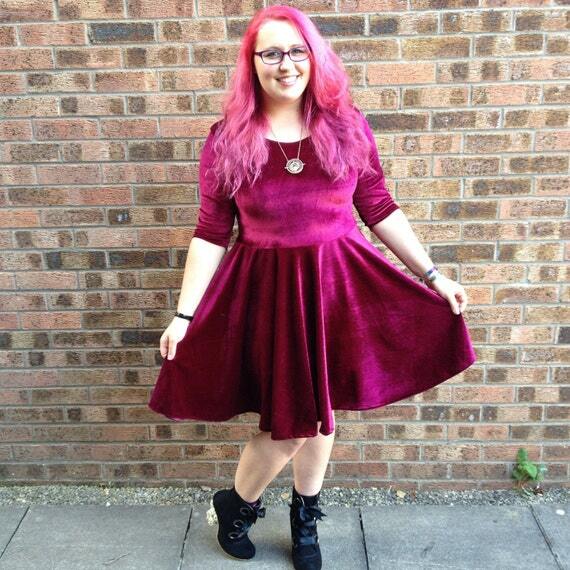 This is exactly my sort of autumn dress, that berry colour, velvet, three quarter length sleeves, lush! The seventies trend is going nowhere, and this dress is the perfect way to glam it up. The cut out back is beautiful, and the colours bring the mustard trend in without being too much. This dress is giving me all kinds of boho prairie high fashion chic vibes. It is very Wednesday Addams the early twenties years, before she fully Morticia's up! I love the mix of stars and lace in this! It's such a different print, really pretty and cute. And the back is a lovely touch! 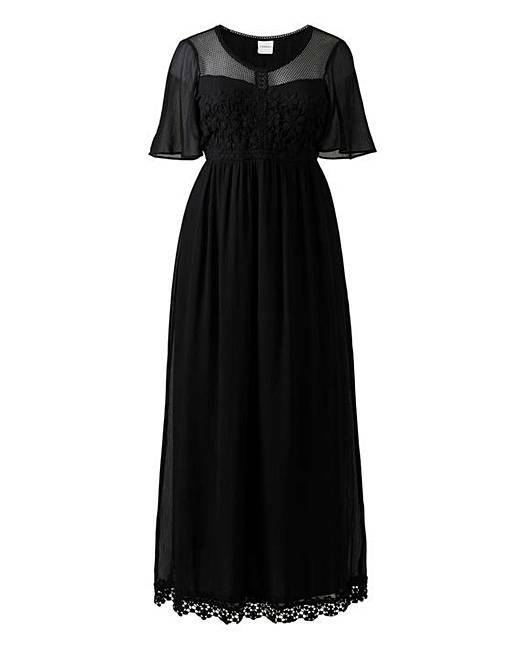 £28 is a total bargain for a good maxi dress. The print and colours on this are beautiful, and scarf necks are really fashionable right now. The long sleeves and maxi length make this so perfect for a chillier day. Is a tunic a dress? I guess it depends how tall you are! I suspect on me I'd need the leggings to preserve my modesty. I love the red detailing on this. The orange tones that are all over this autumn winter are so beautiful. Really autumnal colours that make me think of leaves. Who wouldn't want to swan about like a glamorous super hero?! Loving the capes that are in this season. I love a good colour pop, and the mesh would add a cheeky flash of flesh too. The neckline is adorable too. ps. Check out my newest video on YouTube! I am sticking that Missguided mini dress on my Christmas list!! the Junarose maxi and the velvet from Interrobang are my faves. Gorgeous picks!